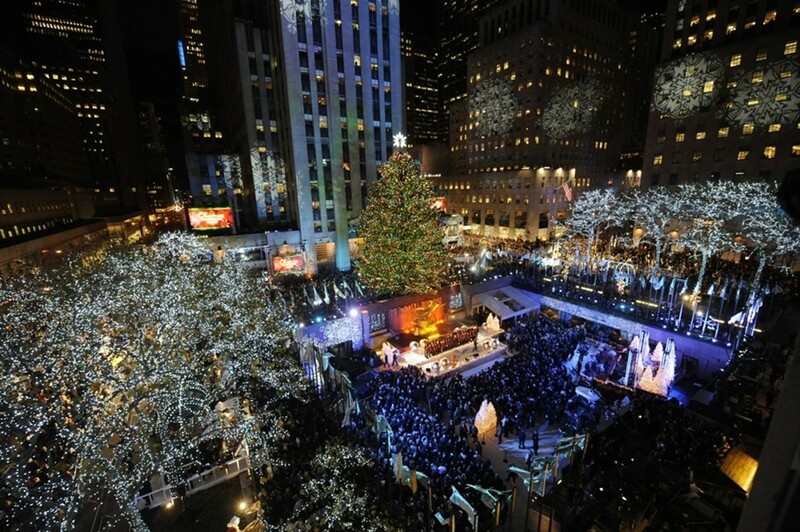 How Much Does The Rockefeller Center Christmas Tree Cost? The ornament on top of the tree comes from the jeweler Swarovski and has 25,000 crystals embedded in it. It would cost $35,000. The 45,000 LED lights would cost just $13,500 – a bargain when compared to retail prices. The tree itself is a Norway Spruce that weighs 10 tons and is 80 feet tall. It would cost you about $25,000. All in all the tree would cost $73,500 – although the Center itself doesn’t have to pay this cost. The tree, for example, is a free donation every year, and this year’s tree is a Hurricane Sandy survivor. Read more about the value of the tree, and how it compares to other expensive Christmas trees around the world over here. ← How Long Would It Take Darth Vader To Mop The Death Star? The tree is at an age that it won’t last another five years! I just was in NYC and thought that was the most magnificent tree ever. NYC at Christmas time is truly magical. Cutting down these trees is criminal. Before you respond ponder this. In my youth I thought that this was a one of a kind “Special” tree. Now I realize that every half assed, Po Dunk town in the country cuts down a “Special Christmas Tree”. That’s thousands of trees that may have witnessed the birth of this country cut down. So based on these $ amounts all research, coordination, transportation, engineering, electrical, labor, permits, etc are all volunteer or donated? What a beautiful event. Choose to enjoy the christmas season. It. Takes. So. Many. Years. To . Grow. Such. A. Beautiful. Tree. And. After. Cutting. It. Down. It. Is. Mulch. After. A. Couple. Of. Months… What. A. Tragedy. … I. Think. It. Would. Be. Cheaper. And. More. Environmentally. Friendly. I wouldn’t let them cut down such a beautiful tree for free. “The tree itself…. would cost you about $25,000” (not $85,000). ll in all the tree would cost $73,500 – although the Center itself doesn’t have to pay this cost. The tree, for example, is a free donation every year, and this year’s tree is a Hurricane Sandy survivor. Donated? What a scam. How much does the NYC business district take in from tourists? it came from Bloomsburg Pa. where my son attends university of. wooohooo!!! go huskies!! So the tree survives Sandy, only to be chopped down. How sad. Yes, Sad but it really goes to a good cause after all, it goes towards helping build a home for habitat for humanity.